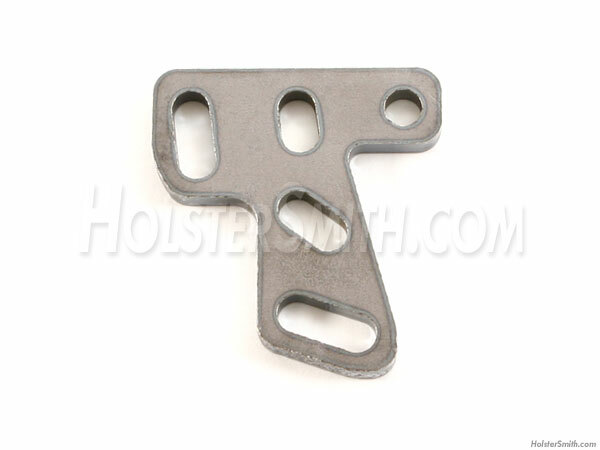 This is an attachment mounting template with an adjustable 15° cant ability. It is designed to help create the hole mounting/drilling pattern for a large Tek-Lok, DCL Combat Loop or ASR mounts. It was designed by Dustin Montgomery and made in the USA from a 10 gauge steel plate for CNC molds. This template will make a quick task of professionally installing mounting hardware on your finished work. If you use large Tek-Loks or Combat Loops with your holsters, sheaths or accessory designs, or want to simplify the task of marking clean, professional mounting holes, this template is what you need.